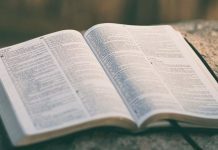 By Steven Bancarz| Those who deny the deity of Christ will often say that he never claimed to be divine, and that his divinity is something that was ascribed to him later by the early church. This is not historically accurate. 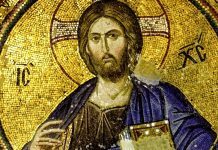 Not only did Jesus claim to be divine in a variety of different ways during his earthly ministry, he claimed to be the creator of the universe specifically. This puts Jesus into a whole different category all together. For those who want to say Jesus was just a prophet, what kind of prophet would claim to be the God of the universe? 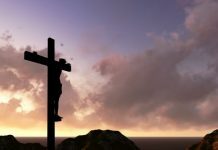 We could look at verses where he claimed to be the Messiah and the fulfillment of prophecy, or verses where he claimed to have attributes and authority only God had. We could look at how Jesus said only God should be worshiped, but then allowed himself to be worshiped, or we could look at all the verses in the Bible demonstrating that Jesus is God. Here is an article on the topic of Jesus claiming and proving himself to be God. But right now, we are going to something much more narrow in scope. We are going to look at scripture communicating that Jesus believed himself to be the creator of heaven and earth; the God of Isreal. If we could prove from scripture that Jesus is God (which we can), then we could infer that Jesus must have created the universe. But we are going to cut to the chase and look at verses indicating directly that Jesus was the primary agent in the act of creation. This is expressed most clearly in a verse found in John 8:58, where Jesus is having a discussion with the Pharisees. After Jesus claimed that Abraham rejoiced to see his day, Jesus made a self-proclamation that was so radical that the Pharisees wanted to stone him. “I Am” is one of the names of God in the Old Testament. This is the name God referred to himself as when Moses asked him who he should tell Isreal had sent him to speak to them. 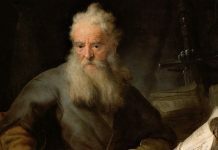 If the God of the Old Testament created the universe, and the God of the Old Testament called himself “I Am”, and Jesus claimed to be the “I Am” that existed prior to Abraham, then this means Jesus believed himself to be the creator of the universe. The Jews would have taken this as Jesus claiming to be Yahweh, the proper name of the God of the Old Testament used over 6000 times in Scripture. 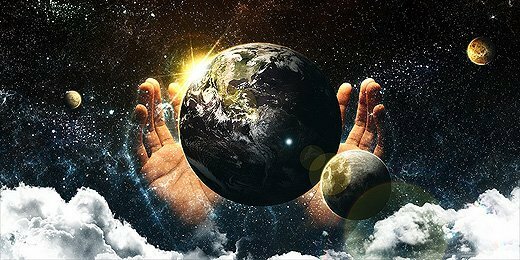 If Yahweh said He created the universe by Himself, and Jesus claimed to be the I Am of the Old Testament (Yahweh), then Jesus was claiming here to be the Creator of the universe. This is a powerful statement coming from an eyewitness of the ministry of Jesus. That Jesus is the eternal Word sharing deity with the Father, and that this Word (or Logos) became flesh and dwelt among us (John 1:14). The apostle Paul also believed that the universe was created through Jesus. Paul, who claimed to have seen the risen Jesus, gives us independent attestation that Jesus had a fundamental role in creation. So from Paul, we learn that all things that are visible and invisible were created by and through Jesus Christ. 1 Corinthians is one of the earliest of Paul’s epistles, dating to around 55-56AD, meaning this is a very early belief held about Jesus Christ. 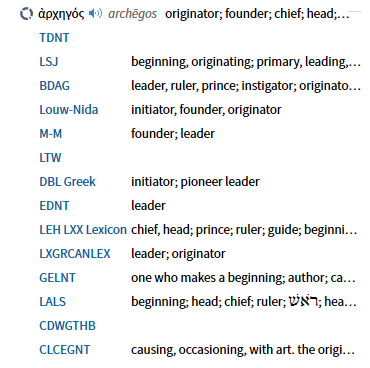 While translations that translate from the majority text (such as the ESV or NASB) do not end with “who created all things by Jesus Christ”, this does give us another example of Jesus being involved in creation depending on what text and documents you believe hold most authority and weight in the translation process. Can you imagine how the Jews would have felt being told they killed the Author of life? This means that Jesus is the one who began, initiated, and originated life in the first place. This is something God was said to do in the Old Testament, and something the apostles believed about Jesus right after the resurrection of Jesus. Other verses such as Hebrews 3:3, Hebrews 11:3, and Pslam 33:6 also indicate in a more indirect way that the universe was created through Jesus Christ. This is a very pervasive and consistent belief held by the disciples, Paul, and other New Testament authors. 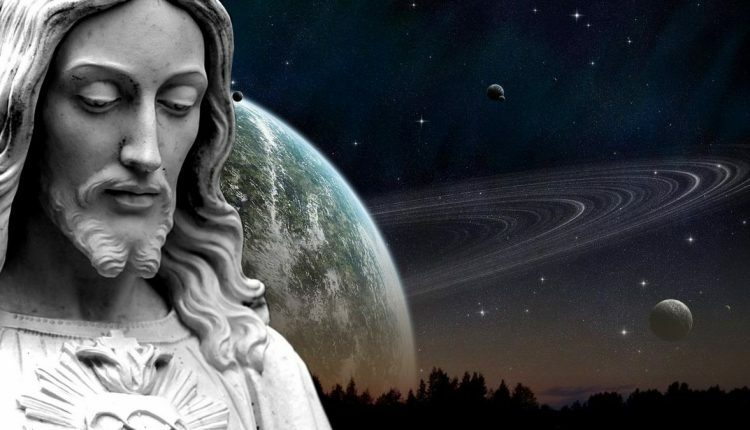 What does it mean when it says the universe was created “through” Jesus? The Greek word for “through” is “dia” which means ‘through’, ‘via’, and ‘by’. Dia is used 660 times in the New Testament, where it translates to “through” 184 times, “by” 131 times, and “because” or “because of” 77 times. To say the universe was created through Jesus is to say it was created by the means of and because of Jesus. By the agency of Jesus Christ the universe was created. This is clearly established in the New Testament from the verses we just looked at, but is there any Old Testament support for this idea? There are many different interpretations of “us” and “our” in this verse. While some argue this is God referring to Himself in a deliberately plural sense, this verse is now best understood as being a reference to the unity of a persons within the Godhead. A communion between the Father, the Son, and The Holy Spirit to bring about man as an act of their creation. This interpretation is highly supported by the New Testament passages we have already looked at, where Jesus is said to be the creator of all things in Heaven and earth. 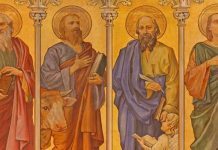 While the people reading the Old Testament would not have originally known that God was a trinity in nature, God’s progressive revelation in the New Testament regarding the person of Jesus shines a new interpretive light on Genesis 1 and is best explained by the plurality of persons within the Godhead. 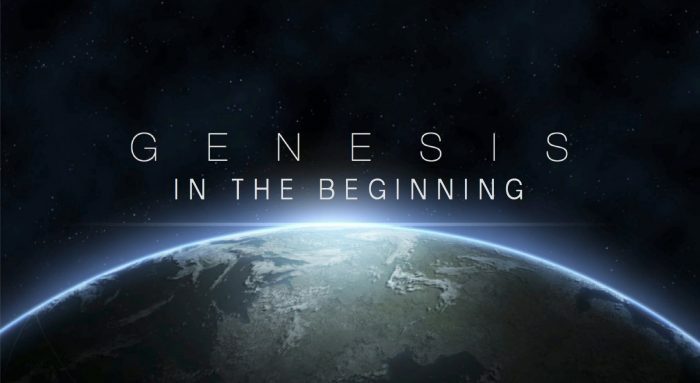 In fact, this verse in Genesis 1:26 would allow us to conclude that Jesus was involved in the creation the universe by merely establishing a trinity in the New Testament. If there is a trinity, Jesus was involved in the creation of the universe by virtue of the fact that a plurality within the Godhead is conveyed here. That would be enough. But in addition to this inference from the doctrine of the trinity, we have many specific and direct references to Jesus as creator of the universe in particular. The God of the Old Testament brought man into existence by referring to plurality/unity of persons in the Godhead (Genesis 1:26) which gives us Old Testament precedence for believing Jesus was involved in creation at some level. But we have many New Testament verses demonstrating that Jesus was a primary agent of creation itself. Jesus’ role in creation as it is revealed in scripture creates a fascinating and compelling case for the deity of Christ. This view was held by the apostles, by other New Testament writers, by Jesus himself, and it is evidenced in the creation account of Genesis 1. Jesus is not only Christ, he is also Creator and God. “The Word, who in the beginning bestowed on us life as Creator when He formed us, taught us to live well when He appeared as our Teacher that as God He might afterwards conduct us to the life which never ends.” – Clement of Alexandria (AD 150–215), Exhortations to the Heathen, 1. Previous articleWhat Is It That Is Being Aborted?